Prestige Floor Coating offers many different floor garage floor coatings in South Gate, MD. Our specialized coatings can be professionally applied by our knowledgeable technicians to a variety of areas in and around your home including basements, outdoor walkways, concrete stairs and steps, patios and garages, increasing the value and preventing dangerous slip-and-fall accidents. Our coatings are available in several colors and textures, making sure your floor coating is as aesthetically pleasing as it is protective, safe, and functional. 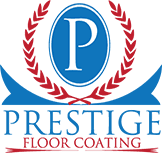 Prestige Floor Coating has been doing business in the area for nearly two decades. We’ve covered more than 30 million square feet of flooring and proudly claim more than 40,000 satisfied customers in the greater South Gate, MD area. Contact Prestige Floor Coating to find out how to add protection and value to the most utilized room in your home-the garage.